The Upright Row Helps To Improve Posture! 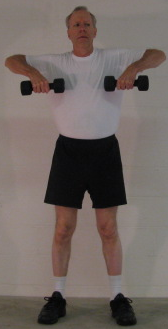 This shoulder and upper back exercise strengthens the muscles that enable you to lift your arms. This is one of the posture exercises that helps to improve posture, and is an excellent addition to any fitness routine. Build a website and make money from your home!